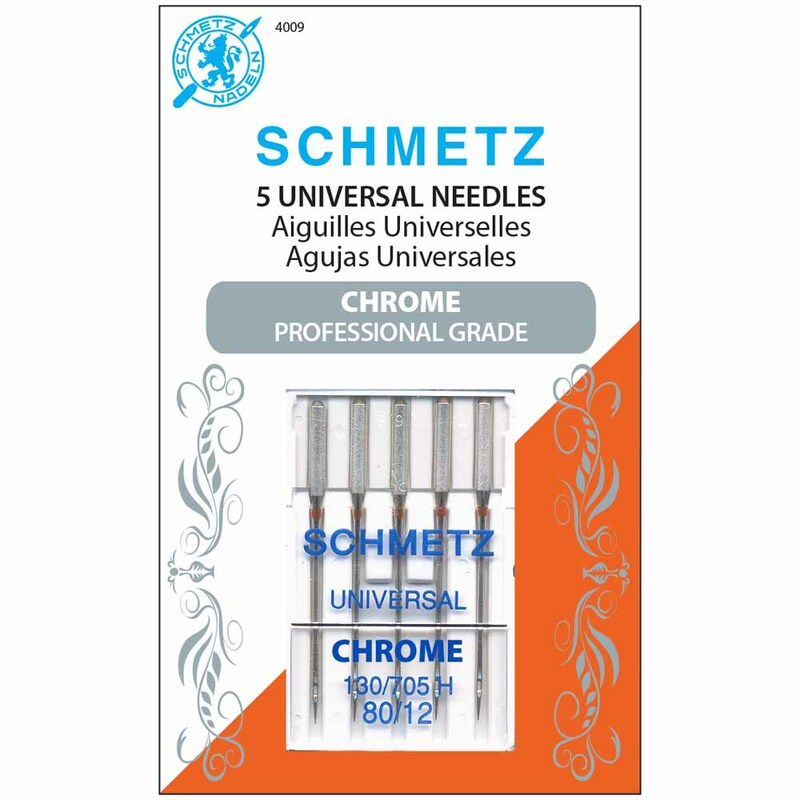 SCHMETZ Chrome Professional Grade is the perfect sewing partner. Chrome resists heat and wear. Chrome will stay cool longer with less stitch distortion and aids the thread to pass through the needle eye with less friction and less heat build-up. Chrome also allows the needle to pass through the fabric with less resistance. Used for denim and similar fabrics. Advanced point design is a SCHMETZ exclusive. Good for penetrating extra thick woven fabrics, denims, or quilts with minimum needle deflection, reduced risk of needle breakage, and skipped stiches.